Casa Córdoba: Tapas, Flamenco & Romancia, Olé! On Sunday, I got romanced by the candlelit ambiance and strumming Spanish guitars of Casa Córdoba. 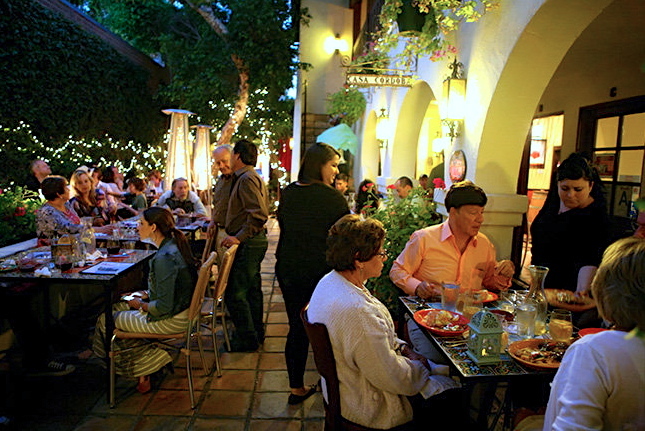 Located in very charming downtown Montrose, the eatery focuses on Castilian and Andalusian cuisine–but specializes in sweeping you off your feet by dialing up the romance to an epic scale. These guys are not kidding when they use “Escape to Spain” as part of their moniker. You’re instantly transported to a balmy Iberian courtyard replete with saltillo floors, wrought iron details, meandering vines and a showstopping fountain under twinkling lights. The scene is punctuated by the lilting sound of a Spanish guitar. 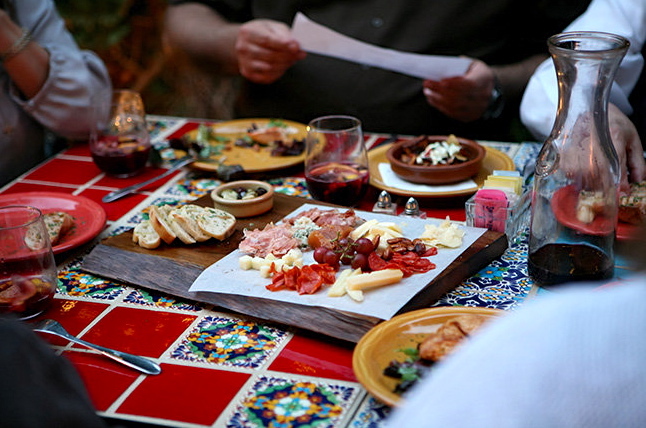 Opened early last year, Casa Córdoba began with owner Jeannie’s enthrallment with Spanish culture, Moorish architecture and of course, the food. Along with her husband Chris, they have perfectly recreated the sumptuous patios and fountains that are common in Spanish homes. 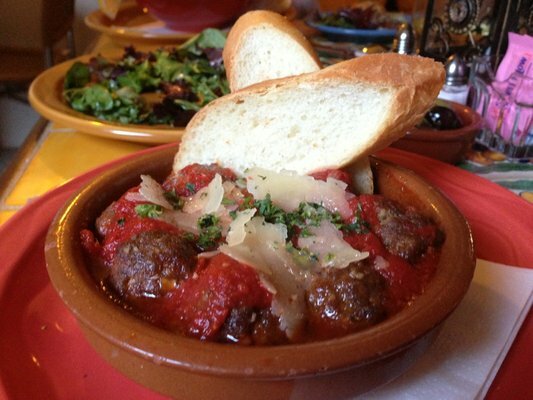 The menu features a myriad of tapas (small plates) and larger entrees. 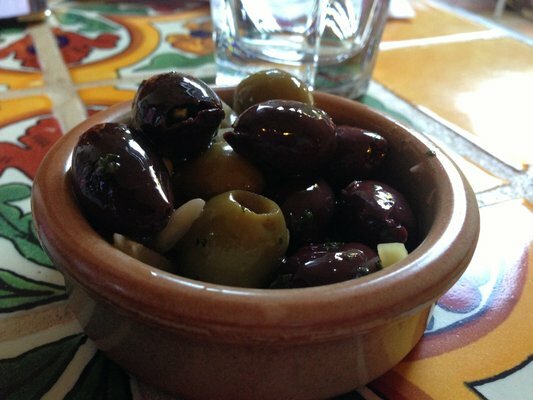 Dinner starts with an assortment of delicious Spanish olives. We tried the exquisite Empanadillas de Ternera y Cerdo, $7, a beef and chorizo filling enveloped by the fluffiest puff pastry shell. The Albóndigas con Salsa de Tomate, $8, had the sweetest, juiciest tomato relish in recent memory. While the sangria was a bit lacking, the excellent selection of wines-by-the-glass more than made up for it. 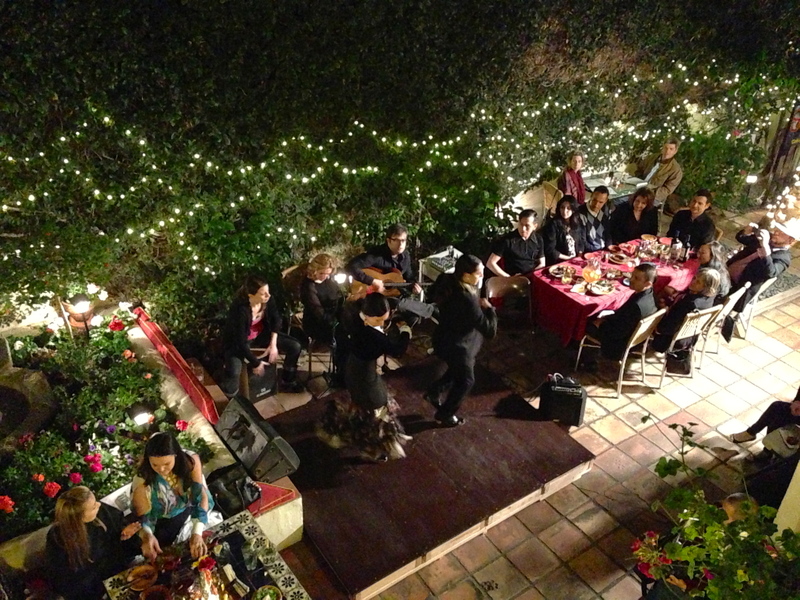 The night I attended, the eatery featured renowned Spanish cantaora Kina Mendez along with flamenco dancing. The only word that came to mind was Diva–in the purest, most celebrated sense of the word. This regal lady commanded the stage with her sultry vocals that left everyone listening, breathless. The dancing was euphoric and drove home the point that, in case you were mistaken, you were no longer in L.A.